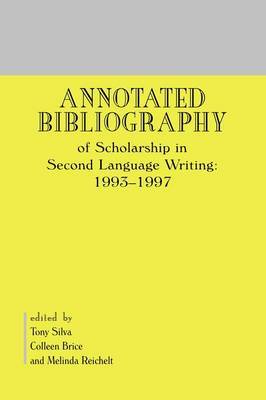 This bibliography is a compilation of 15 short bibliographies published in an issue of the Journal of Second Language Writing from January 1993 to September 1997. The work focuses on theoretically grounded research reports and essays addressing issues in second and foreign language writing and writing instruction, containing 676 entries, each including a 50+ word summary intended to be non-evaluative in nature. The editors hope that this work will be a useful tool for developing theory, research, and instruction in second language writing.